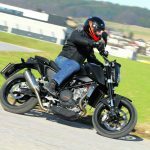 Last week, KTM teased its new large-displacement naked prototype, revealing a brief glimpse and an audio recording of the engine on the so-called “beast”. 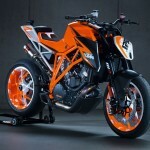 KTM has now revealed the beast, presenting the new 1290 Super Duke R prototype at the 2012 EICMA Show in Milan, Italy. 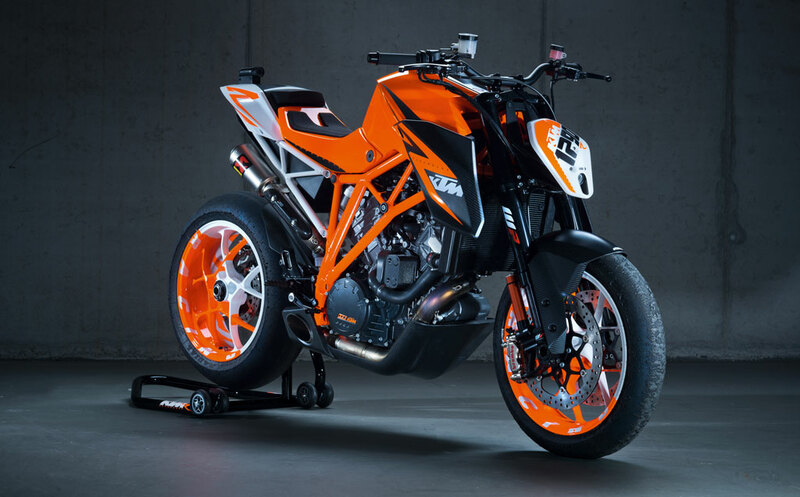 Due to launch some time in 2013, the KTM 1290 Super Duke R will top a full line of naked Duke models which includes the 125, 200, newly revealed 390, 690 and 990. 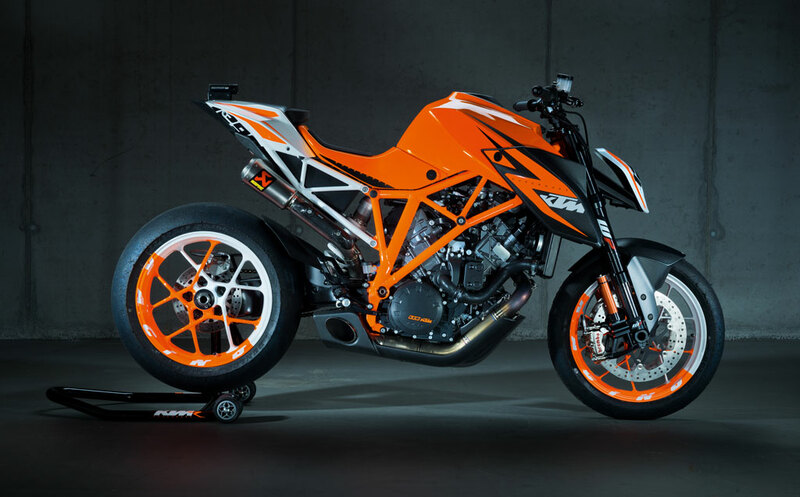 The new 1290 Super Duke R is powered by a new variation on the RC8R’s 1195cc V-Twin engine with ride-by-wire throttle. 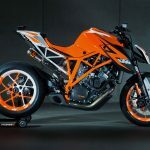 KTM doesn’t say exactly what the displacement is except to note it is larger than any previous versions. 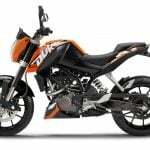 How much power and torque does it have? 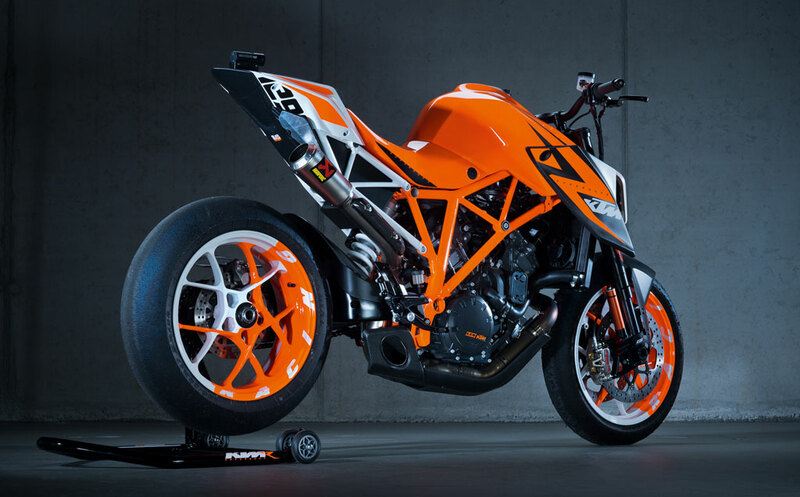 “Very, very much” is KTM’s reply. 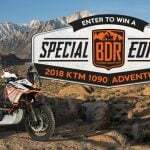 Remember, this is still a prototype. 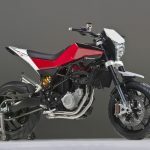 But it is a prototype that is very near ready for production. 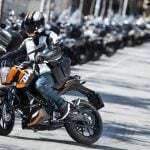 The new 1290 comes with ABS and traction control, though stoppie and wheelie protection can be disengaged, if hooligan antics are your forte. 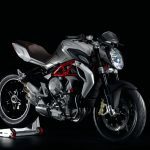 Other features include a chrome molybdenum steel trellis frame, single-sided aluminum swing arm, WP suspension, Brembo racing calipers and aluminum wheels.